You have huge problems in Assassin’s Creed Odyssey? Who plays ACOD on the PC can get some help here, through a trainer! Before you download the PC Trainer with 11 cheats, remember that this is not the regular gameplay! In many areas we offer you also normal solutions to the game, collectibles, trophies and achievements instructions and much more. 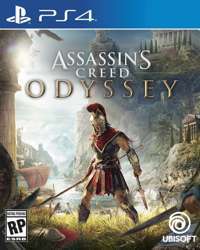 Assassin’s Creed Odyssey 100% Walkthrough. But if you want to try the ACOD Trainer, have a look at our colleagues, here you can download the Assassin's Creed Odyssey +11 Trainer.